Nike have, during the last few days, been busy releasing their latest colourways for all their silos, and this also means that many of their stars have gotten the new boot on their feet. So if you kept a look at the English, German and Australian camps you could spot the new boots everywhere. With the launch of the new colours Nike have really readied themselves for the looming and blooming spring season, as the Tiempo Legend IV, T90 Laser IV, CTR360 Maestri III and Mercurial Vapor IX all have been given fresh new colourways to match the  hopefully  soon improved weather. The boots have just been unveiled and this is why Nike profiles have been able to show off their new boots, at various national team training camps  and we have had our eyes locked especially on the English, Australian and Germans to spot the new colours. 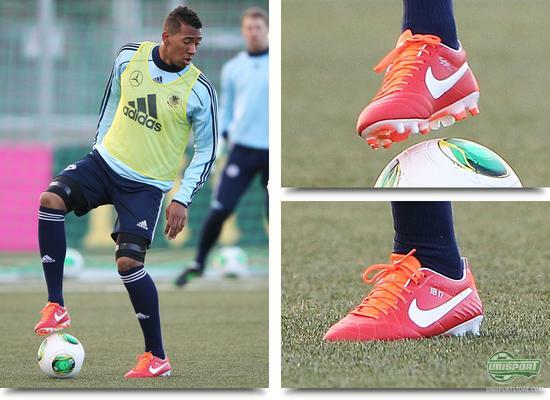 At Germany's training both Jerome Boateng and Mario Gomez had hopped in the new Sunburst/White-Total Crimson Tiempo Legend IV, which have been a very positive reception by you guys. Gomez recently was part of a high profile switch from Puma EvoSpeed to the Nike Tiempo Legend IV and seems to be very happy with his new boots  especially because the new colourway now matches his Bayern kit extremely well. 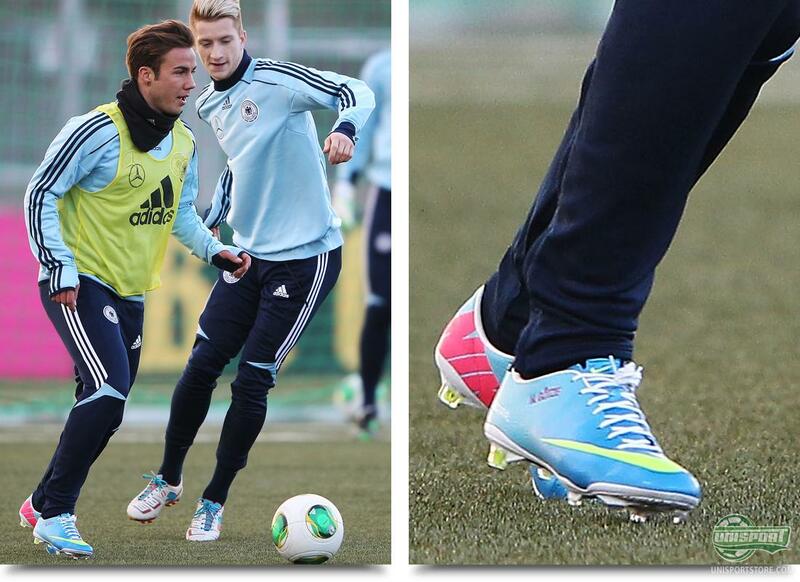 Mario Götze has also gotten a new boot and unsurprisingly the German prodigy has pulled on the new fresh Mercurial Vapor IX colourway, Neptune Blue/Volt-Tide Pool Blue. Götze has also had his name embroidered on the medial side of his Vapor, which is sure to dominate the scenery, with an eye-popping colourway. Are you a fan? Götze's teammate Mesut Özil was also wearing the new Vapor IX and the man who in the end of 2012 was flirting with the Adidas Predator LZ and Adizero, was sued by Nike and ordered by court to wear Nike boots until his contract expires. 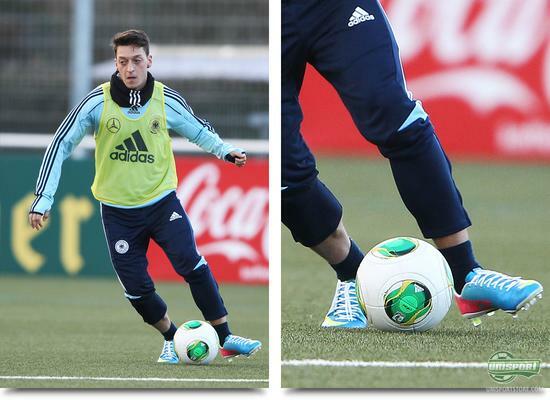 It seems like Özil is keeping his promise and can in any case can be found in the new Mercurial colourway. Vapor IX is spreading all around the world and down under they are also wearing the boot. 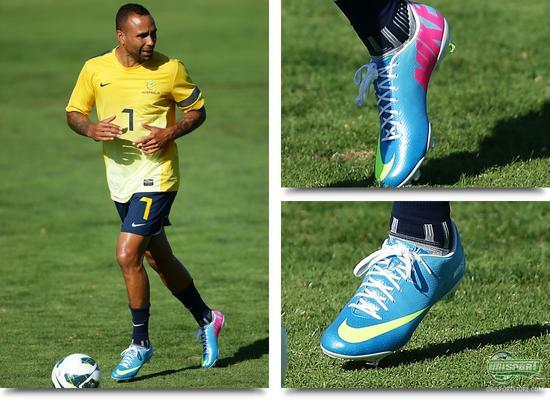 Here it is Archie Thompson who is training with The Socceroos. 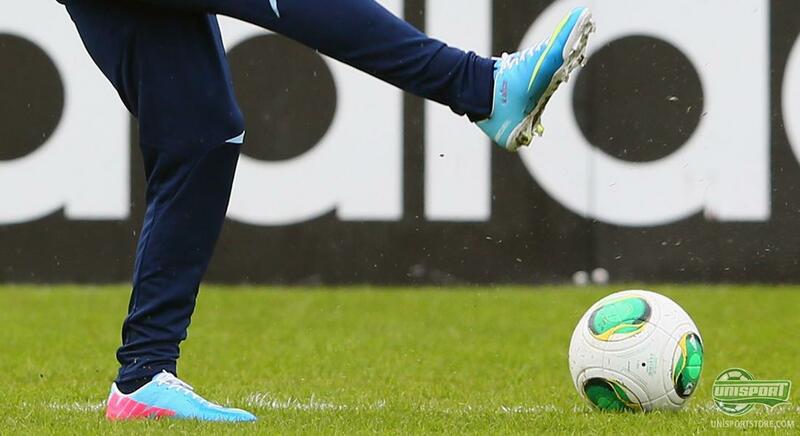 The boot hardly matches the kit, but we guess that just means it will stand out even more. To finish off with we turn to England, where the national team has gathered for the first time, since moving to their new training facilities, St. George's Park. 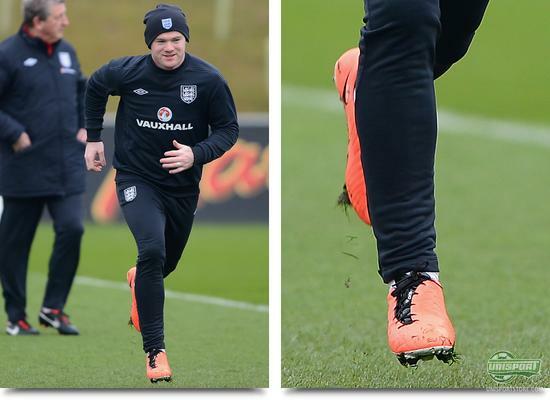 The England team is packed with stars and Nike athletes too and plenty of them were wearing the new boots  Lescott in the Fresh Mint/Black-Neo Lime, Cole in the Tiempo Legend IV, as well as Smalling, Parker and Wayne Rooney all wearing the Mango T90 Laser IV. Is it cool that Nike are keeping the Mango/Black combination? There can be no doubt that Nike with their latest colour updates have wanted to create a fresh spring feel  and all the boots definitely look good on the training pitch. 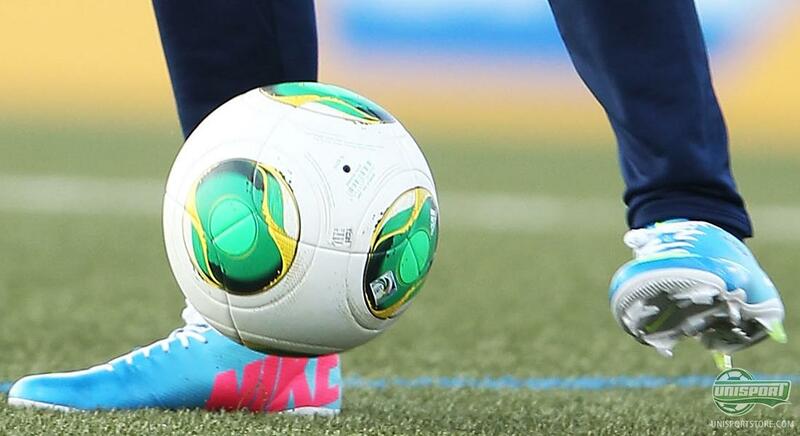 But what do you think about the crisp colourways  and which of the boots is the coolest? Share your thoughts in the box down below.